Malcolm X is arguably one of the most important people in African American religious and political thought. He was a man heavily influenced by his own personal experiences and the historic moment into which he was born. Along with the societal hardships that accompanied being Black in America when Jim Crow discrimination was enforced by law, Malcolms family endured racial violence. His life trajectory began to be characterized by his rejection of the society that had rejected him. This landed ... See More him in prison, where he was converted to the Nation of Islam. On release from prison, Malcolm rose in the ranks of the Nation of Islam and spread the message of Elijah Muhammad across America. His ministry developed in the context of the civil rights movement and was characterized as the violent alternative to the peaceful solutions that Dr. Martin Luther King Jr. offered the nation. Many who have rejected Malcolms social philosophy unfairly have interpreted him as a preacher of wanton violence against White people. However, this has left them susceptible to the charge of hypocrisy because there are elements within his ethic of violence that many Christians would defend if applied to their own lives. Malcolms ethic of violence has at least three essential parts self defense, revolutionary, and retaliatory. A full theological examination of each of these exceeds the limitations of this article. However, one can conclude that Christian ethics allows for violence in the act of self defense. Contrarily, Malcolms advocacy of retaliatory violence conflicts with biblical Christianity. Rather than softening the critique of Malcolm, I believe that this strengthens the argument against his philosophy because its precision protects the apologist from condemning what God allows. Therefore, African Americans should reject Malcolms teaching on retaliation because it conflicts with biblical Christian ethics. 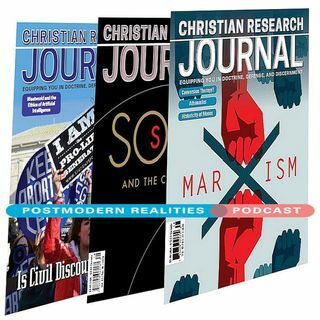 This Postmodern Realities Podcast episode is a JOURNAL author conversation with Jimmy Butts about his Volume 40 6 feature article Malcolm X and the Christian Ethic of Violence.